Remove the wing tips and discard. Cut the wings into two - drumettes and wingettes. Place in a bowl and mix well with marinade ingredients. Cover and set aside for 30 minutes. 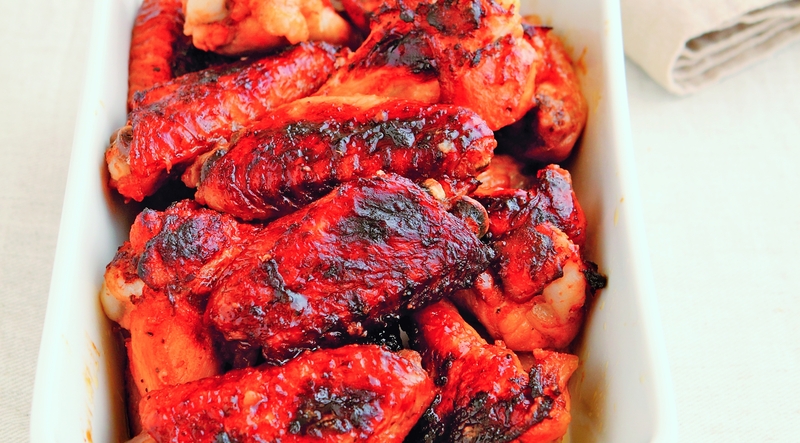 Place the marinated wings in an ovenproof pan and dot the chicken wings with the margarine. Bake for 25 minutes. Turn over the wings after 12 minutes. After 25 minutes, switch the oven to broil and grill for 5 minutes or until golden and crisp. Baste the chicken with the pan juices.